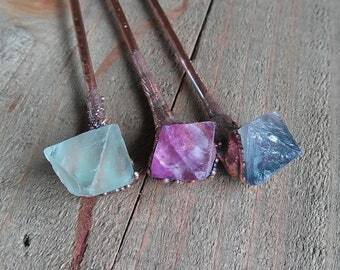 This listing is for one Hair Stick of your choice. 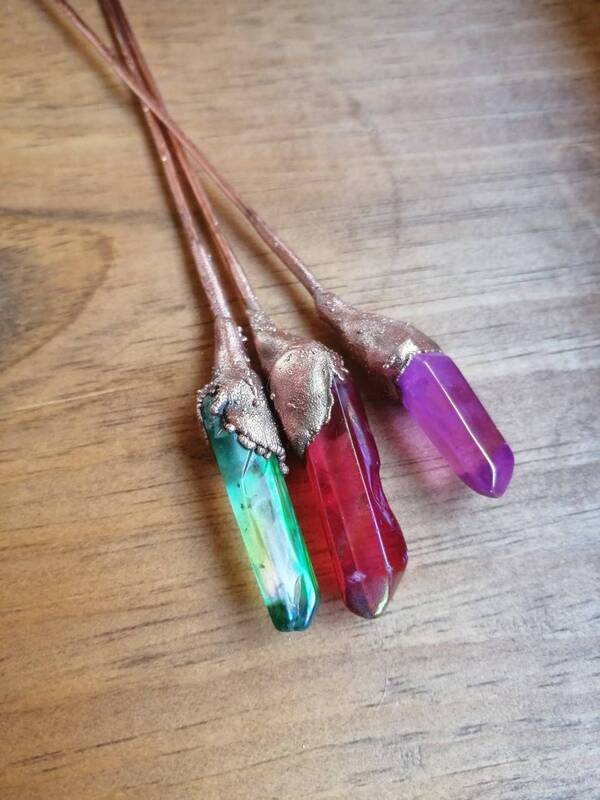 These hair Pins are made by electroforming, a process that takes a few days to complete. What I love about these hair sticks is that they will last longer if taken care of wisely. I used high quality materials and the rustic look is very unique and you won't find one like it online. These hair sticks are approximately 5 inches long without the stone. 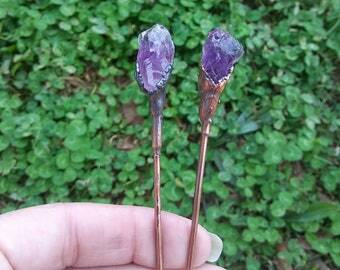 The copper was oxidized and the stone has sealer. They will be shipped within 24 of ordering. If you order on the weekend then I will ship on the next business day.